Half-buried in the melting heart of Florida lies a town teetering on the fault line between imagination and disbelief, where fantasy intersects with savagery. A town of citrus and sulfur, of paradise and parasites, whose body of land swings in a noose between the Lake of Glass and the River Styx. The town is Donn Angelos. And you are now stopping in for a visit. In this book you will explore the lives of six Donn Angelos natives as they experience the wonder and terror that lie in wait behind every closed door and within every open casket. A writer who finds an inspiration that won’t let go; a mother colliding with herself as she frantically searches for her son; an elderly man who discovers he has power over the past by entering memories long forgotten; a child whose inventiveness warps an obscured image into a viable threat; a teacher whose mental affair with her student sizzles out of control; a priest who must encourage others to trust in God while wrestling with his own doubts. 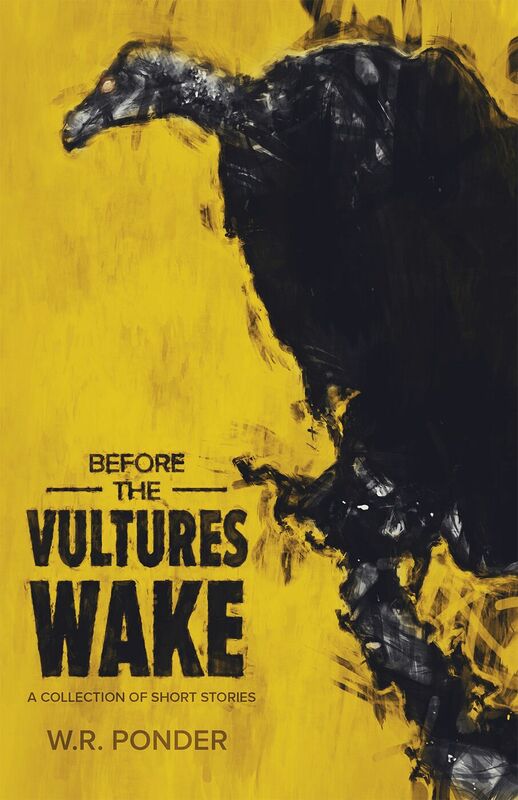 From murder to marriage, obsession to hallucination, discover the secrets that lurk in the dark Before The Vultures Wake.